This post must be read by both candidates seeking admissions through UTME and candidates seeking admissions through DE (Direct Entry form). You start hearing about UTME sometimes when you are in senior class one. This is very usual. It’s because you’re also on your way to seeking admission. You won’t gain achieve this without UTME – except you find other non-UTME means. or you consider IJMB, JUPEB and Cambridge A’level. UTME means Unified Tertiary Matriculation Examination. The exams body in charge is Joint Admission Matriculation Examination Board (JAMB). This body conducts yearly exams for admission seekers (who had completed their senior schools) usually between February and April every year. It’s important to note that sales of forms and registration for this exams start yearly between Octobers to Februarys. To partake in the exams an admission seeker must obtain the form and register it at any of the accredited CBT centers in the country and outside. Note that, exams holds usually outside Nigeria in countries including Accra (Ghana), Johannesburg (South Africa), Cameroon, Jeddah (Saudi Arabia), Ivory Coast, London (U.K.) and Cotonou (Benin Republic). In other words, you can obtain the form, register it and write your exams in those countries. JAMB introduced a computer-based approach for exams some years ago. Since then, the body and admission seekers had got used to the method. After registration, you will be scheduled for the exams. Applicants are scheduled to write their tests on specific dates, times and CBT centres. Students are expected to select four relevant subjects (to their desired course) during the registration. These subjects must align with your course. You’ll be tested in the exams based on the subject combination you’d earlier chosen. During the exams, your English questions will be 80 in number. Other three subjects will be 40 each. Total mark for UTME is 400. This is derived from your performance in the four subjects attempted. JAMB reserves the right to how the calculation is done which is not publicly known. Don't be confused. Most times, candidates mistake UTME for Direct Entry. Some think Direct Entry is a process through which you gain admission to school without JAMB. Or in other words, they believe schools can just give you admission without JAMB involvement. Nope! JAMB is the exams body in charge of UTME and DE (Direct Entry). UTME is the exams you must write and pass before you can be given admission to 100 level of your proposed course. Candidates that take UTME are usually SSCE holders or secondary school leavers. Direct Entry candidates equally obtain JAMB form but never write exams. Their own form is called DE form. These candidates are not only SSCE holders, but they had also equally completed their IJMB, JUPEB or any other A'level course. A DE applicant can also be a holder of National Diploma (ND), NCE, HND, BSC from any school. DE applicants seek admission to 200 level of their previous course or a related one. And if admitted, will start from 200 level. Results are usually released within weeks of your exams. Some students with issues including technical itches may be recalled for the mop-up test. With mop up test, JAMB is able to allow every candidate to participate in the test without bias. The next thing after results are released is for JAMB to hold stakeholders meeting. At this meeting, the body, ministry of education and other members of education sector come together and finalize on certain terms including and most especially the cut-off marks to be used and other modalities for the year admission exercise. After this, the cut-off mark is declared and schools are to start selling their post UTME and/or admission screening forms. You’re to obtain your proposed institution’s admission screening or post UTME form, partake in the test or screening and await admission list. Before, during and after you’ve been given admission, you can do the change of institution/course on JAMB portal. This will allow you to consider other schools if the schools already chosen can't give you admission based on your performance in UTME or post UTME. You’ll also be allowed to do the change of courses. Details of this are well covered in the post, “10 Things to Know About JAMB Change of Data, Institutions and Courses". 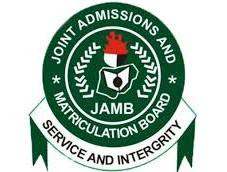 With the new CAPs, JAMB is more in charge of admission than schools. CAPs is Central Admission Processing System. This system helps the body to restrict schools authority to solely decide your admission fate. They must be aware of the modalities a school follows in order to give admission. With this, they are able to confirm if the student truly merits the admission. As admission exercise for the year continues, admission seeker is expected to be regularly visiting his or her JAMB profile. You’ll log in with your profile email and its password. On your dashboard, you could see your admission status and how things change from time to time. Status usually changes from “You have been recommended for admission” to “congratulations, you’ve been offered admission”. You’re expected to accept admission from schools directly from your profile. The journey to gain admission to any university, polytechnic or college of education starts with UTME and DE. But it doesn’t end there. Every student should understand the entire processes involved in gaining admission. He or she should take advantage of the change of institutions and courses exercise, take part in the post UTME or admission screening, follow up status in JAMB CAPs. Then accept the admission when the time comes.